I took a walk around Chicago Embassy Church a few days ago, beckoned by the 230 ft. spire that is visible — as is most of the building — from the Dan Ryan Expressway at 59th Street. That the old building is still there is good news, given the rough time this town&apos;s vintage houses of worship are having as of late. 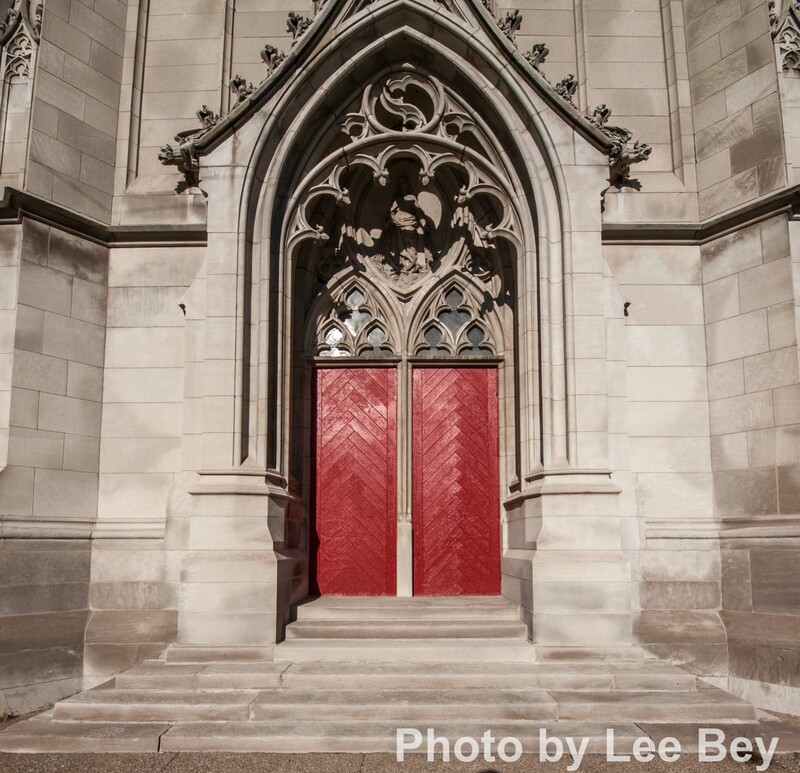 St. James Church at 29th and Wabash will be demolished soon, the Roman Catholic Archdiocese said recently. The former Shepherd&apos;s Temple on the West Side was wrecked last March. Throw in a few church fires that have occurred here and there over the past year or two, and you have a segment of the city&apos;s architecture that bears careful watch. 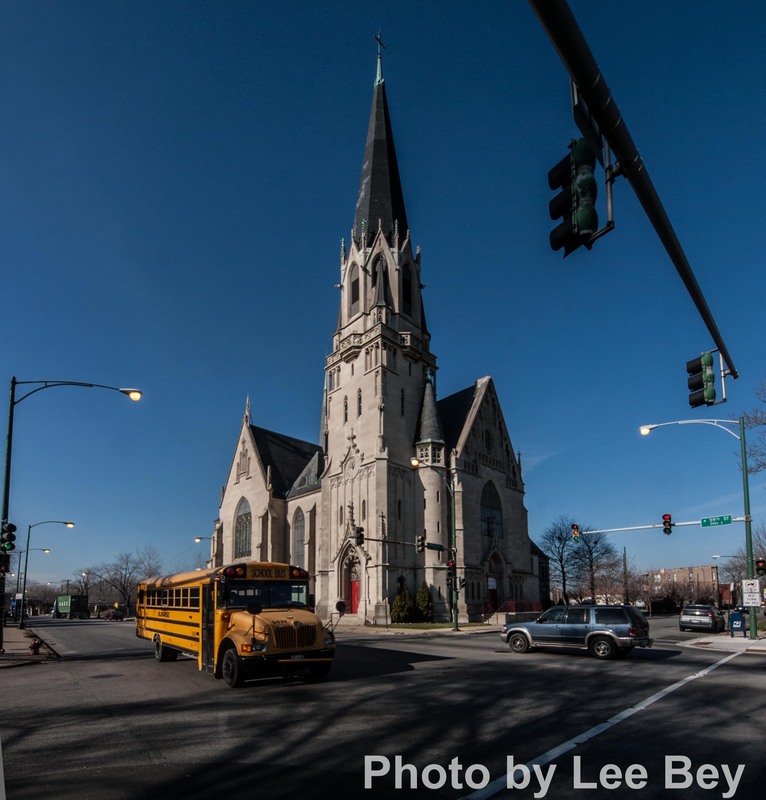 Built by German immigrants in 1895 as a Roman Catholic church, the former St. Martin of Tours dominates a section of Englewood that is largely filled with frame homes. 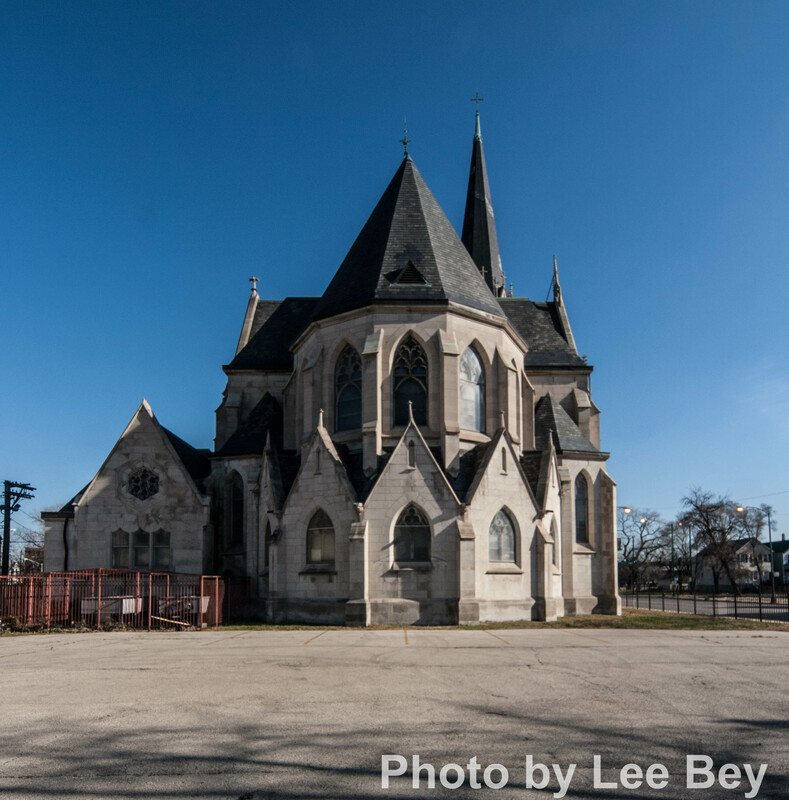 The church looks good for a 117-year-old building and can boast a beautiful and well-kept limestone exterior beneath that glorious tower, with almost all of its delicate detailing preserved. A gold leaf statue of St. Martin astride a horse once sat near the church&apos;s roof, but was blown off in a 2007 windstorm and severely damaged, however. Henry J. Schlacks, who designed about two dozen of the archdiocese&apos;s grand old places including the Mediterranean-like St. Mary of the Lake at the corner of Sheridan and Buena, was only the supervising architect here. The design came from an architect in Germany and was shipped here for construction.